Cynar’s a highly-regarded classic of the amaro world. So why produce a new version of this vibrantly bitter, artichoke-infused concoction? Because they can. Cynar 70 is designed to put the liqueur into a category alongside Jagermeister and Fernet, both bitter aperitifs but bottled at a much higher proof than Cynar or Campari, which have the same bitter approach but hit 33 and 48 proof, respectively. We’re reviewed the 33-proof Cynar twice (here and here), and today we look at Cynar 70 in true head to head fashion, comparing it side by side against its big brother. Note: The old Cynar isn’t going away, this is just a line extension. The two 13-ingredient recipes are the same; only the alcohol level is different. It’s amazing what a different amount of alcohol can make to a spirit. Classic Cynar is immediately bitter, with overtones of chocolate, oranges, leather, and tobacco on the nose and palate. Cynar 70, on the other hand, is restrained on the nose — dark chocolate notes hit first, lightly sweet, and not particularly bitter. That classic cinnamon note is even more evident here than in the original Cynar, making it even more engaging right at the start. The palate of Cynar 70 continues to diverge from its forebear. The attack is not particularly bitter — a striking contradiction to the original. Here, it’s lightly sweet at first — simple sugar, some molasses, a touch of raisin character — and then it builds from there. First more herbs arrive — cinnamon and anise, along with sweeter chocolate and fresh oranges — and then that long-awaited bitterness hits at last. It has a softer entry than the slam-bang punch of classic Cynar, slowly washing over you with its herbal-orange character rather than immediately dominating the experience. That said, it does eventually hit the same bitter high as the original Cynar, gripping onto the tongue and refusing to release, proving itself as a classic and enduring amaro. 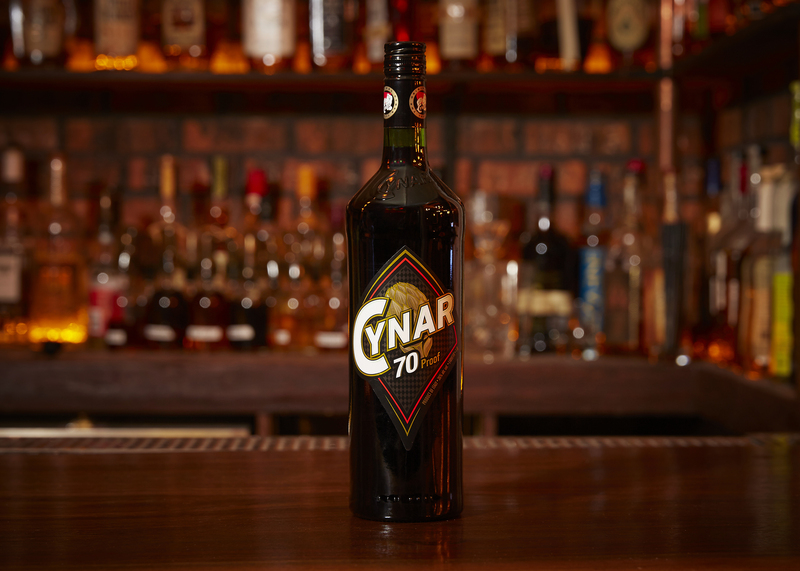 The body of Cynar 70 is much creamier, the color considerably darker. Turns out this isn’t a New Coke situation: Cynar 70 takes everything that is great about Cynar and builds upon it while showing off a few new tricks. I was skeptical at first, but it turns out I actually preferred the sweet-then-bitter structure of Cynar 70 to the original in side by side tasting. Definitely worthwhile.